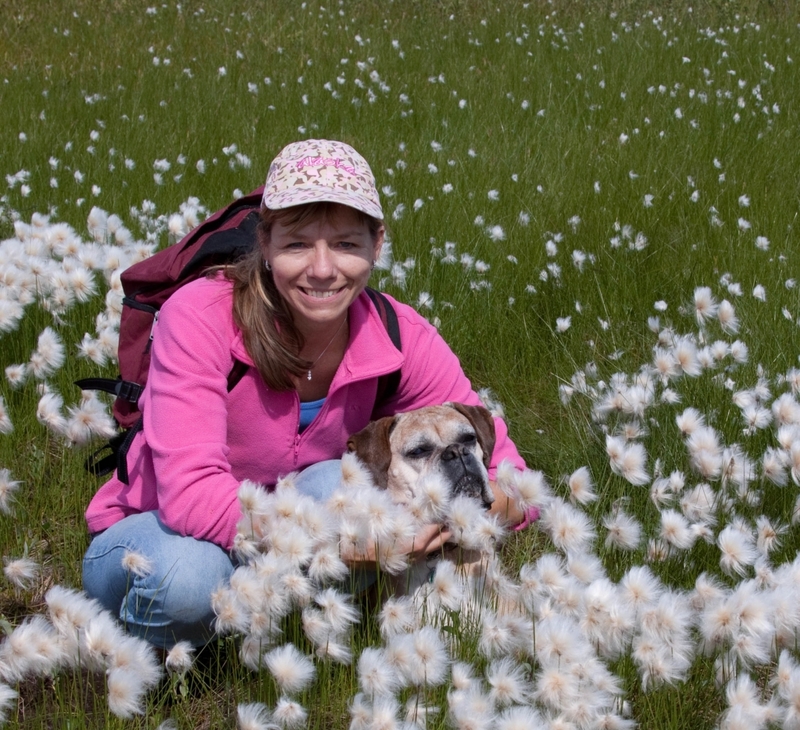 Companion: Photo in memory of my beloved 14 year old boxer "Stinky" and I on a beautiful day hike near Denali National Park. A Little About Me: I grew up in the mountains in New Mexico and have a great love for the outdoors. My husband, the veterinarian, and I moved to Alaska in 1979. Alaska was the most beautiful place I had ever seen. My career had been in the human dentistry field for many years. As the years past, I found myself involved with assisting my husband on several of his animal calls. I found the work in animal health to be of great interest and began working with him on a full time basis. Caring for our furry little friends has been a gift to me in countless ways. Being their caregiver and often their voice has taught me so much more about compassion, love, and friendship. Attributes of C.V.P: Working with a team that is caring and thorough. Getting to know the human parents and families of all our patients.